Over the past couple of months, both India and Pakistan have been trying to lower the temperature of their bilateral relationship through goodwill gestures and reconciliatory statements. While both sides have reiterated their commitment to amicably resolve the issue of the harassment of their respective diplomats, India and Pakistan have also agreed to some humanitarian gestures with regard to prisoners languishing in jails on both sides. 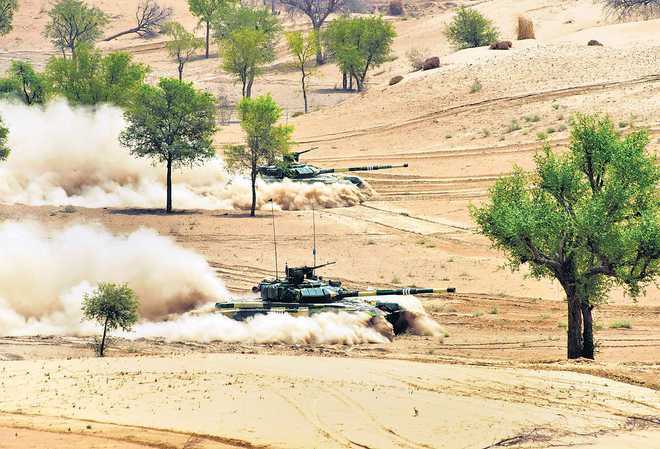 BEREFT of a stated nuclear doctrine, Pakistan obdurately plans to use tactical nuclear weapons (TNWs) to neutralise Integrated Battle Groups (IBGs) if launched by India across the border against Pakistani proxy war terror strikes. Does this ploy throw cold water on India’s ‘Cold Start’ doctrine? 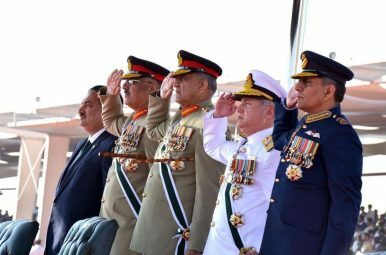 Is Pakistan’s adaptation of an outmoded Cold War tactic implementable? 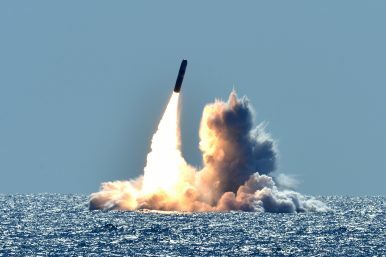 Can nuclear wars be ‘tactical’? Is India’s no-first-use (NFU) policy ‘didactic’ (patronising) or ‘persnickety’ (irritatingly detailed) as former NSA Shivshankar Menon, author of Choices – Inside the Making of India’s Foreign Policy (2016), puts it? The coming out on the streets of large numbers of ethnic Pashtun marks a new phase in the history of Pakistan’s interface with its Frontier. What sparked this was the extra-judicial killing in January 2018 in Karachi of a young Mehsud tribal from South Waziristan. The local protests over this morphed into something larger with rallies in Islamabad, Peshawar and Lahore drawing in many others outside the Mehsuds. The demands in these protests also evolved beyond demands for enquiry into extrajudicial killings and amelioration of specific issues in South Waziristan such as demining, tracing missing persons removal of army road blocks etc. These rallies became the platform for a generalized sense of rage, helplessness and dissatisfaction amongst Pashtuns in general, and those in the tribal belt in particular, at having been treated no more as pieces on a chess board as the global war against terror was waged on the border of Afghanistan and Pakistan. Changing one's name in Pakistan is a daunting and lengthy legal procedure that requires extensive paperwork. Surprisingly, that is not the case with militant groups that get banned by the government. In the past two decades, several groups accused of carrying out terror attacks have avoided a crackdown by changing their names. 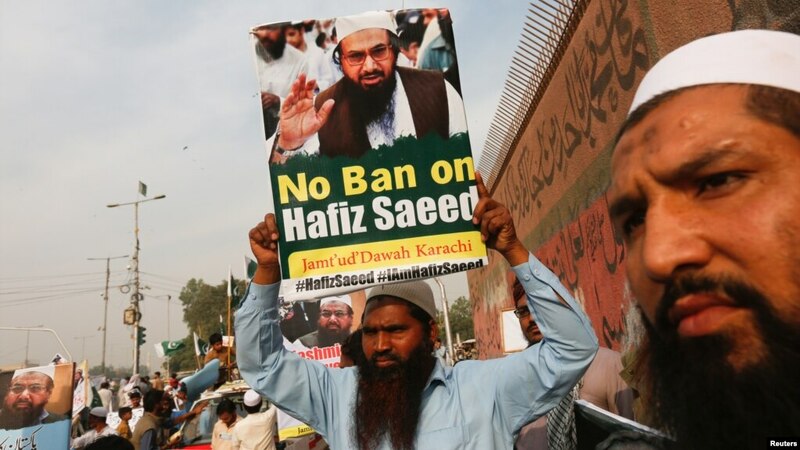 Islamist cleric Hafiz Saeed, a U.S.-designated terrorist who allegedly was the mastermind of the 2008 Mumbai attacks that killed 160 people, is perhaps the most prominent leader accused of the tactic. 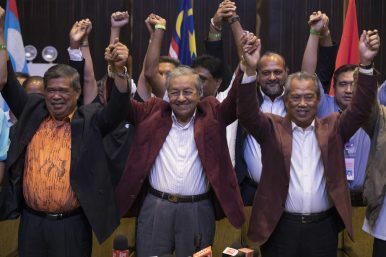 On the evening of May 10, just one day after the historic election, people were spontaneously gathering and chanting these slogans around Istana Negara, the Sultan’s Palace in Kuala Lumpur, where Mahathir Mohamad was about to be sworn in as Malaysia’s seventh prime minister. These opposition slogans had frequently been heard as anguished cries during the harsh campaign period. 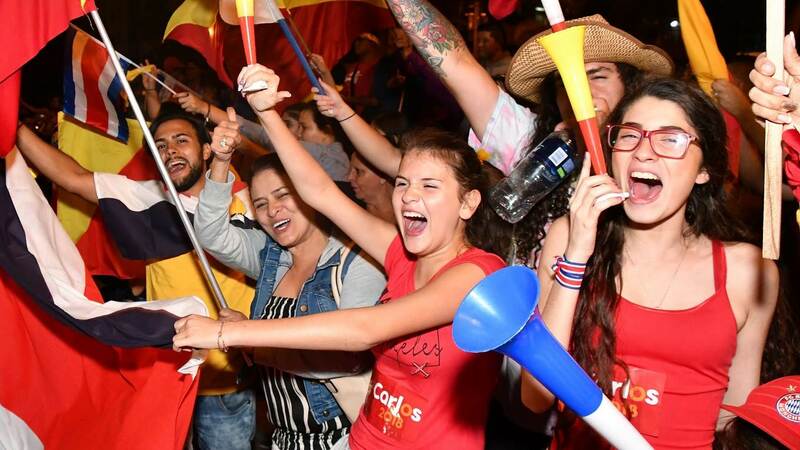 This time, however, the people’s chants were rather filled with joys and hopes for the country’s future. The Diplomat‘s Ankit Panda (@nktpnd) and Prashanth Parameswaran (@TheAsianist) discuss the newly released Asia Power Index from the Lowy Institute and the nature of power in Asia. Click the arrow to the right to listen. If you’re an iOS or Mac user, you can also subscribe to The Diplomat’s Asia Geopolitics podcast on iTunes here. If you use Android, you can subscribe on TuneIn or on Google Play Music. If you like the podcast and have suggestions for content, please leave a review and rating on iTunes and TuneIn. A new report from the Congressional Research Service begins to sort through the implications and the practical consequences of the Trump Administration decision to end US compliance with the Iran nuclear agreement, known as the Joint Comprehensive Plan of Action (JCPOA). “The Trump Administration could have used provisions of the JCPOA itself to cease implementation of U.S. commitments under the agreement. It opted not to do so, but instead to cease implementing the JCPOA by reimposing U.S. sanctions,” the CRS report noted. For related background from CRS, see also Iran: U.S. Economic Sanctions and the Authority to Lift Restrictions, updated May 10, 2018; Withdrawal from International Agreements: Legal Framework, the Paris Agreement, and the Iran Nuclear Agreement, updated May 4, 2018; and Iran Nuclear Agreement, updated May 2, 2018. TEL AVIV—These are uneasy days for citizens of Israel. Almost everywhere, one hears anxious questions: Will there be war? How bad will it be? Should we prepare the bomb shelter at home? And what should we tell the children? At the same time, though, routine life goes on despite recent tensions on the border with Syria. At most, they have meant inconveniences like canceling a planned family holiday for Shavuot, the Jewish holiday that takes place in about a week, because a top Israeli vacation spot in the Golan Heights recently came under rocket fire from Syria. (All the rockets missed their targets.) The prevalent view of the security establishment and media pundits has trickled down to the public: We are not yet at the cusp of an all-out war, but merely in the midst of a round of hostilities between Iran and Israel. Even the events of the early hours of Thursday—the rocket fire and then the Israeli retaliation—do not herald war so much as they portend exacerbated hostilities. The People’s Liberation Army Air Force’s (PLAAF) purported first fifth-generation stealth fighter aircraft, the Chengdu Aerospace Corporation (CAC) J-20A multirole fighter, conducted its first over-the-sea combat exercise, the PLAAF announced this week. 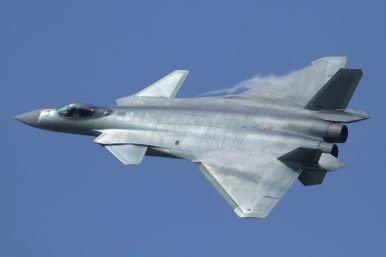 “The J-20 has conducted a combat training mission in sea areas for the first time, and this has further strengthened the comprehensive combat capability of the PLA Air Force,” PLAAF spokesperson Shen Jinke said on May 9, without specifying the date or location of the combat training. Xi has now accumulated more political and economic power and authority than any leader since Mao Tse-tung. The 19th Communist Party Congress last October reelected Xi as the general secretary of the party and the only contender of the post-Deng period left standing. Xi has replaced the collective leadership model and organizational limitations Deng installed to diffuse authority, to create some balance of individual and institutional power, and to preclude another cult of personality like the one Mao built, all precisely to thwart, for example, the catastrophes of the Great Leap Forward, the purges and the Cultural Revolution. In March 2018, the National People’s Congress, China’s parliament, unanimously re-elected Xi to another term as president and amended the national constitution to eliminate the two-term limit on presidential terms, another provision established by Deng to prevent indefinite rule, the personality cult and the concentration of power. Last year, China rolled out development plans for IPv6, 5G, and industrial internet. As more devices become connected, there also emerged the difficulties in securing them. An off-the-radar government report revealed a worrisome picture of Internet of Things (IoT) security in China, which provides added rationale for cooperation between different models of cyber governance. On April 25, the Chinese Cybersecurity Emergency Response Team (CN-CERT) — a division recently moved to the central organ for cyber policy making known as the Cyberspace Administration of China — released an annual report that assessed the country’s cyber threats landscape and forecasted emerging threats. In 2017, the Chinese National Vulnerabilities Database archived 16,000 security vulnerabilities, a 47.4 percent uptick from 2016. Smart devices gained much attention. The total number of archived IoT vulnerabilities increased by 120 percent in 2017 and 27,000 smart devices fell prey to unauthorized remote control every day. China's growing geostrategic influence, rising soft power, and, above all, continued economic success suggest that other countries will see it as a model to emulate. But will China's power and prosperity really boost the global appeal of its authoritarian model? LONDON – Will China soon be the world’s leading economic and geopolitical power? Has it achieved this status already, as some suppose? And if the answer to either question is yes, what are the global implications for the future of democracy? 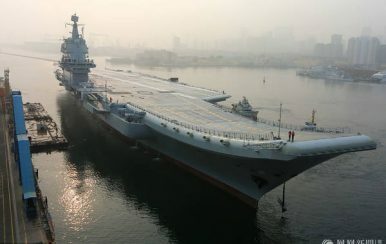 The People’s Liberation Army Navy’s (PLA Navy) first domestically designed and built aircraft carrier, the Type 001A Shandong (CV-17), began its maiden sea trial early Sunday morning, Chinese state media reported. The yet-to-be-christened warship set out at 7am local time from a dock at the Dalian Shipbuilding Industry Company (DSIC) shipyard in China’s Liaoning Province, according to local media reports. The first round of sea trials is expected to primarily test the reliability of the carrier’s power and propulsion systems. 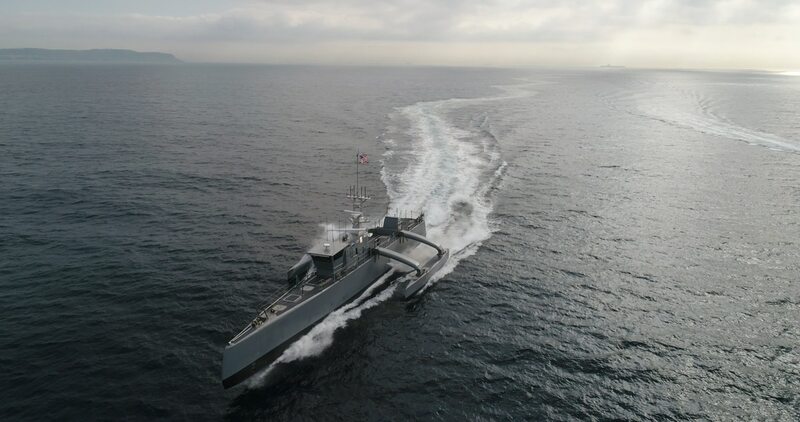 Furthermore, “sea trials will test the carrier’s overall seaworthiness including its speed, maneuverability, and equipment such as radar and communications systems, as well as safety features,” I noted in April. The May 9 Victory Day commemoration is the year’s most important official event in President Vladimir Putin’s Russia—a country-wide extravaganza, marked by massive military parades. The largest of these is always held on Red Square, in Moscow. This year, some 13,000 service personnel in gold-glittering uniforms, mimicking old Russian imperial or Stalinist postwar garments, goose-stepped down the Square, followed by displays of tanks, guns and different types of missiles, including land-mobile intercontinental ballistic missiles (ICBM), as well as a fly-by of military aircraft. The parade included some of the newest weapons Putin has been boasting about recently, like the hypersonic air-launched Kinzhal missile (apparently a modified Iskander ballistic missile) attached to a modified supersonic MiG-31 interceptor, which provides this munition with an increased range of up to 2,000 kilometers and additional operational mobility. As the United States prepares to exit the Iran nuclear deal, or JCPOA, and restore sanctions on the nation, The Cipher Brief revisits the relationship between Iran and Russia, which continue to develop deep ties that run counter to U.S. interests. 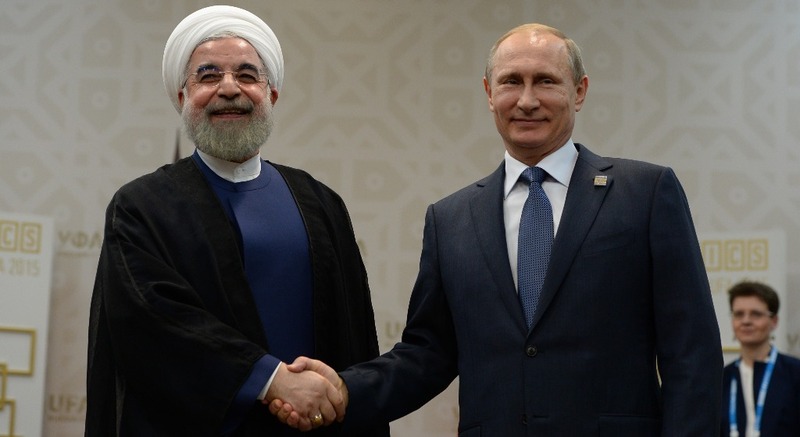 How will Washington’s actions impact how Tehran and Moscow view their overlapping interests? Bottom Line: Russia and Iran have forged a strategic symbiotic relationship anchored in economic, defense and energy cooperation. 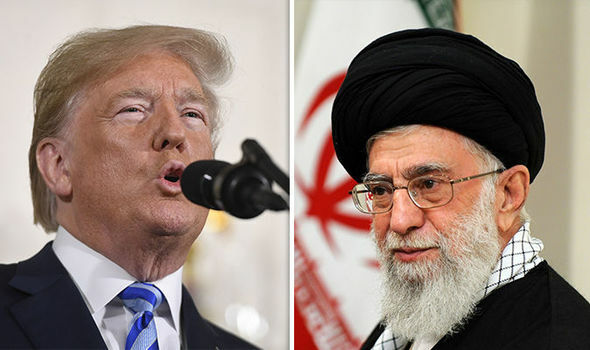 And as the Trump administration ramps up both rhetoric and sanctions on key figures and entities linked to the Iranian regime, and threatens to impose more – Washington could end up pushing Moscow and Tehran even closer together. As Italy’s leading vote-getters work through the weekend to hammer out a coalition deal — about time, some might add, two months after the election — the EU and Brussels establishments are in a state of heightened anxiety. A government of the 5Stars (anti-establishment, in media shorthand) and the League (far right, ditto) together, or somehow alone, is unprecedented. Never before in any of the six original EU countries, much less one of its leading powers, have parties deeply skeptical toward the EU grabbed the reins of power. If that happens, the consequences for Italy and the EU could be felt for months and years to come. When the U.S., U.K. and France attacked Syria in April to punish the government for its alleged use of chemical weapons, there was concern about possible retaliation on a very different battleground. 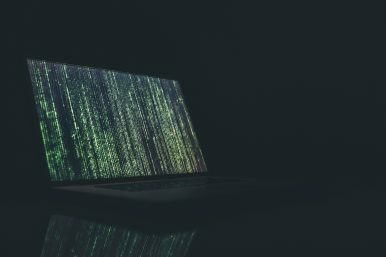 Syria’s patrons, Russia and Iran, are among the world’s leading practitioners of cyberwarfare, or state-sponsored attacks on computer networks and the myriad activities they guide. So far, there have been no public reports of cyberattacks specifically designed as retribution against the coalition that struck Syria. Then again, it’s hard to know when and where cyberwarfare occurs, and by whom. 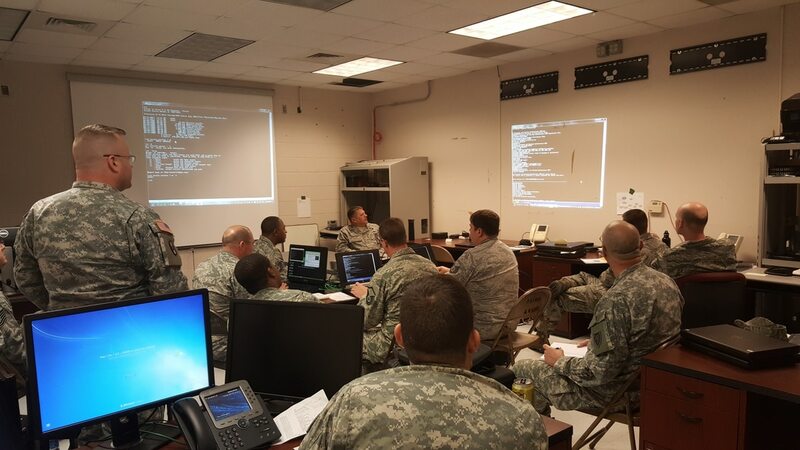 Airmen and soldiers from the North Carolina National Guard train for Cyber Guard 15. Including tangible consequences to cyber failures in training exercises better prepares commanders for the realities of modern warfare, according to experts at the 17th annual C4ISRNET conference. Military training exercises should incorporate cyber offense teams into the full scope of the exercise so that commanders can experience the real pain that a cyberattack can cause their operations, according to military cyber experts who spoke in a panel at the 17th annual C4ISRNET conference May 10. Ever since Nas Daily’s video came out about how I earned over $400,000 with less than $10,000 investing in Bitcoin and Ethereum, I’ve been getting hundreds of questions from people around the world about how to get started with cryptocurrency investment. First: I’m super glad there’s so much interest in cryptocurrency right now. I firmly do believe that cryptocurrency and blockchain technology has the potential to fundamentally change much of the way our world currently operates for the better. It reminds me a lot of the internet in the 90s. Second: Investment in cryptocurrency isn’t something to be taken lightly. It’s extremely risky, extremely speculative, and extremely early stage still at this point in time. Countless speculators and day traders have lost their entire fortunes trading cryptocurrency. I was no different when I first started investing in crypto. The first $5000 I put into crypto fell almost immediately to less than $500 — a net loss of over 90%. What will the next 18 months mean for the Pentagon’s ongoing challenge to maintain a technological edge over its enemies? That was the question posed to a panel of experts at the 17th annual C4ISRNET conference Thursday. And the answers underline just how wide the technical areas of expertise are that Pentagon officials need to get their heads around in the modern era — and how the situation will remain fluid going forward. For Richard Linderman, deputy director for research and engineering in the Office of the Assistant Secretary of Defense, the focus is on manufacturing the vital microelectronics that provide the base for all of America’s high-end technologies. On December 18, 2017, Prime Minister Shinzo Abe called a Ministerial Council meeting to discuss his plans in strategically expanding efforts to strengthen the Japanese maritime security system. 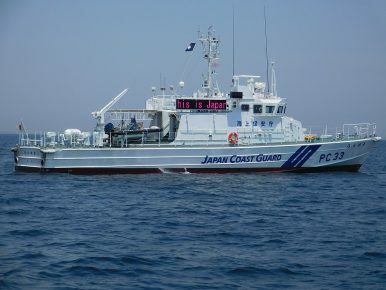 In particular, he stressed the need for the Japanese Coast Guard (JCG) to be further developed since it has significant roles in attaining his objectives and, most importantly, in promoting international cooperation by sharing Japanese values regarding a free and open maritime order based on the rule of law with relevant countries in order to realize the free and open Indo-Pacific Strategy. U.S. Army General Robert Brown told an Australian Strategic Policy Institute dinner in Canberra this week that, on his last visit to Beijing to meet with Chinese military chiefs, he noticed that: ... something was different ... I realised that China ... used to fear us and respect us. They don’t fear us anymore ... They respect us, but they don’t fear us anymore. And a little bit of fear is a good thing. You have to have that little bit of fear for deterrence to be effective. Comments such as this may not come as a shock to Interpreter readers, who see daily evidence on this site and elsewhere of China’s growing economic strength and diplomatic assertiveness. Yet when we examine the raw facts of military power, the gap between the U.S. and China remains massive. This is part 4 of a 10-part series covering U.S. Special Operations Command’s Top 10 technology needs leading up to the Special Operations Forces Industry Conference in Tampa, Florida, May 21-25, 2018. Today: Biotechnology. New tools — from nutritional supplements to wearable technology — could give commandos the edge on the battlefield by giving them increased performance.Special Operations Command is in the initial stages of researching safe and effective solutions to maintain peak performance of operators throughout their careers, said Navy Lt. Phillip Chitty, a spokesperson for SOCOM.